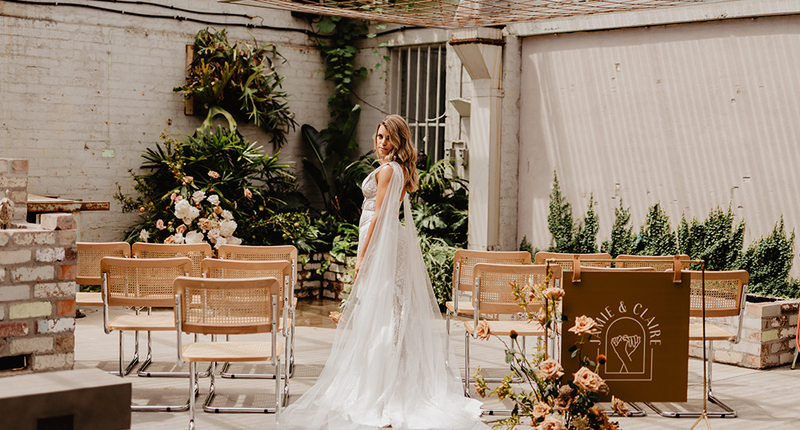 The Halcyon styled shoot celebrates those last days of Summer. Those days where we relish in the sunshine while we still can and enjoy the laid back vibes and warmth. 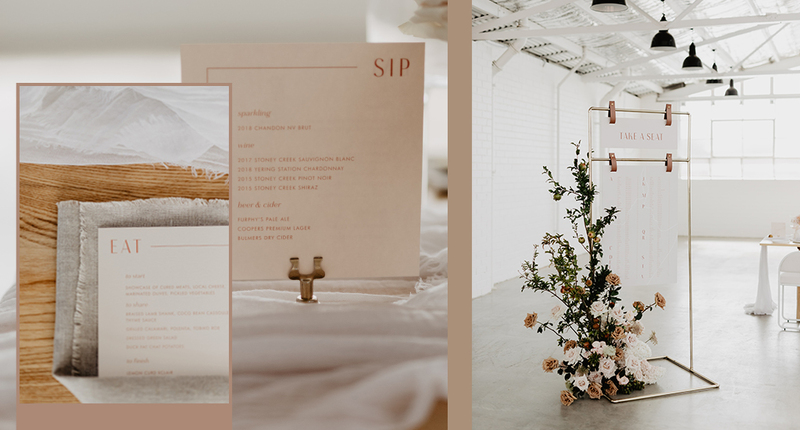 This shoot was pulled together by an all round dream team, shot by Bianca Virtue, styled by State of Reverie (who were also responsible for the incredible stationery!) and blooms by talented Wild Flos. 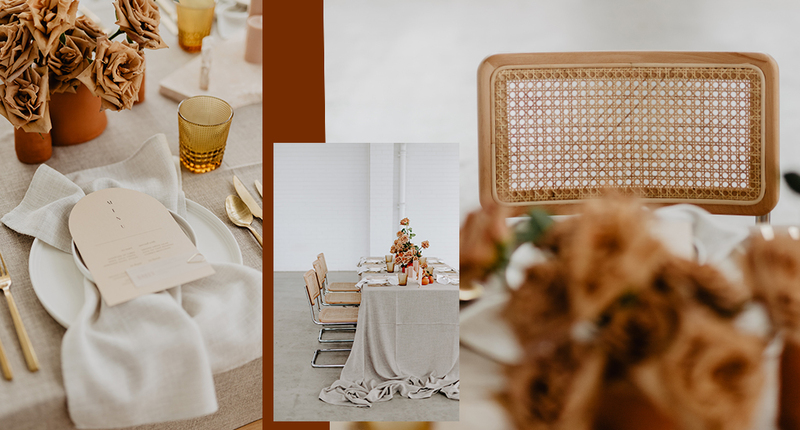 The end of Summer time vibes evoked this dreamy mood with natural and earthy elements such as terracotta, frayed silk, timber, rattan and crumpled linen, combined with unexpected blooms and fruits, celebrating the season. 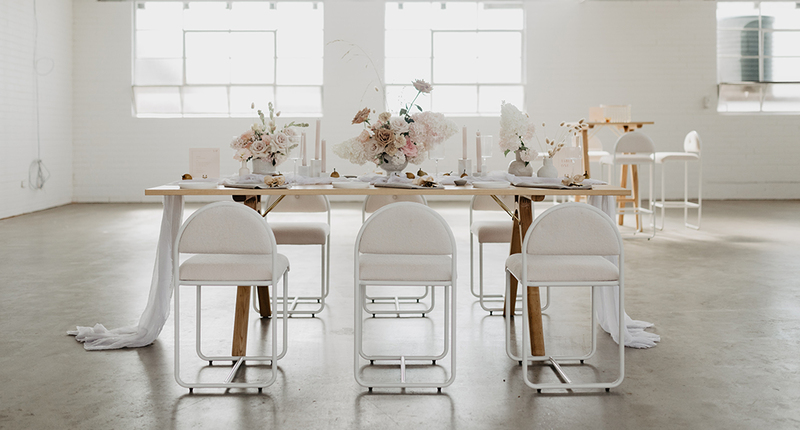 Our Gwen Chairs – Wool Boucle White are perfectly paired with our Simplify Dining Table – Ash Wood. 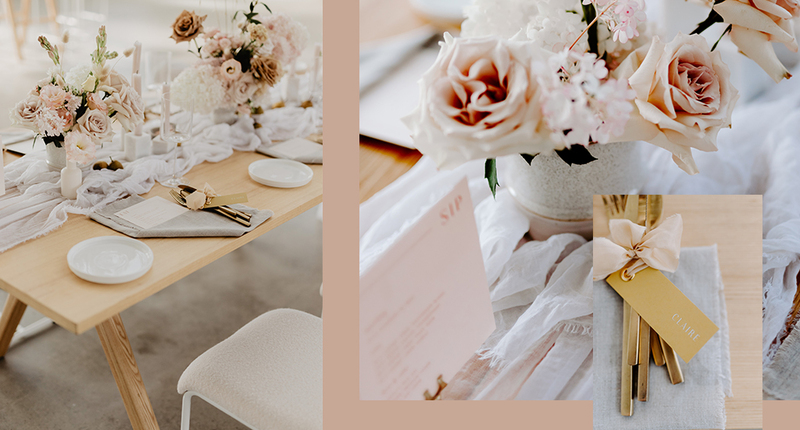 The tablescape was set with our Merchant Crockery – White and Brushed Cutlery – Gold. 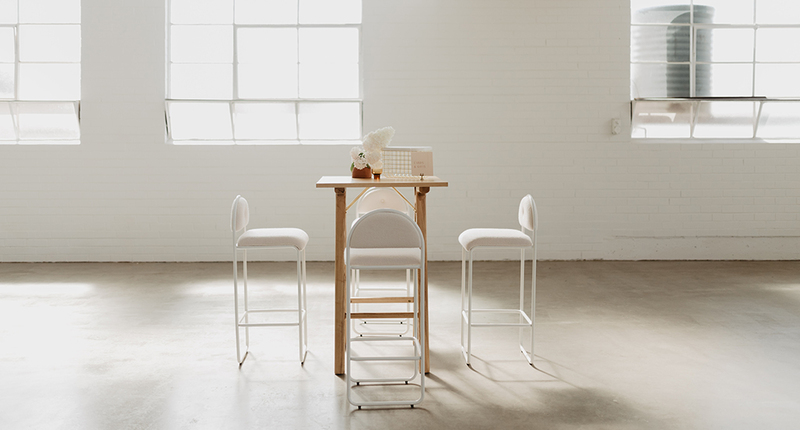 The Button Factory, flooded with natural light was the perfect space to bring Halcyon to life. 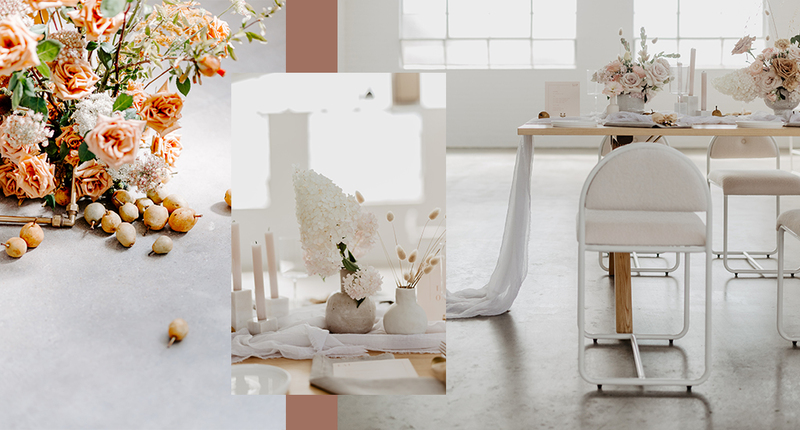 There were two styled settings created, to showcase the beautiful new products available from all the collaborators. 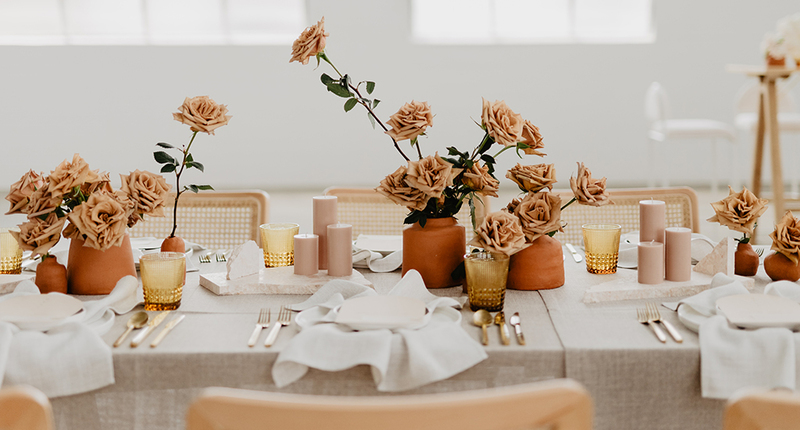 With warm tones of cream, beige, mustard, dusty pinks and terracotta, there’s a subtle nod to the 70’s in this shoot, while remaining refined and restrained. Our Feature Square Tumbler – Amber definitely brings to life, that original 1970’s coloured glass trend. In addition, the use of rattan in our cantilevered Agnes chairs; with a chrome frame for that authentic Bauhaus aesthetic. FURNITURE AND TABLEWARE: By us!